Saffron tea is enjoying a resurgence amongst Australia’s tea lovers, spurred on partly by the emergence of a sophisticated tea drinking culture, and partly by raised awareness amongst Australians of the many documented health benefits of saffron. Saffron tea is amazingly simple to make, all you need is hot water, and some high quality saffron. Of course you can add any number of condiments to give your own unique twist to your saffron tea. Fresh mint, honey, cardamom, lime, green tea leaves, ginger, orange blossoms; the only limit is your own imagination. Tea is one of the best ways to ingest saffron for its health benefits. The active compounds in the saffron threads are water soluble, and absorb straight into your bloodstream through your digestive system. Whilst saffron is delicious in food, you might be following a diet or simply time poor, and need a simple and quick way of enjoying saffron’s health benefits. A cup of saffron tea takes no more than 5 minutes to prepare using the recipe below. The most important part of the recipe is the steeping of the saffron into the liquid. If you don’t give the saffron enough time to infuse, you will waste some of the precious compounds which will be left in the threads. Mix the saffron threads with half a cup of hot water into a teapot (or less threads straight into a cup), and leave to steep for at least 15 minutes. The water will take on a golden colour as the saffron threads are activated and release their active compounds to the liquid. The water will cool. 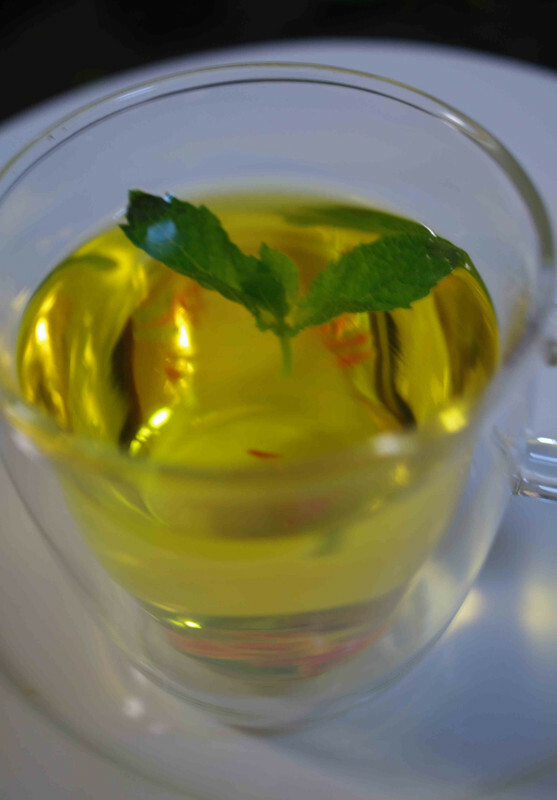 Add just boiled water to the saffron infusion to fill up the teapot or cup and make it hot. Add honey to taste, or some fresh mint, or drop in a teabag of your favourite tea. Your imagination is the only limit - you can create your own signature tea just by adding some of your own favourite and unique flavourings. You can buy saffron now for immediate despatch, and be making your own saffron tea in no time at all. We recommend the 10g Gohar threads which are cut shorter to the end of the stigma, where the active saffron compounds are most concentrated. This exquisite saffron is exclusive in Australia to Saffrondust and ships free to any Australian address.